Here's the thing, everyone thinks either Myrtle Beach or the Mountains when it comes to a weekend getaway. In fact, I've been to Myrtle several times this winter and just returned from Gatlinburg last weekend, but my favorite so far has been Helen, Georgia. Interestingly, I didn't even know the place existed despite having lived here most of my life. It's only about an hour or so further than the beach or the mountains, it's way less touristy and it's super affordable. Helen, Georgia is a German themed town in the mountains of Georgia (just across the SC border) and it's almost a straight shot down I-85 short of an hour or so in the mountains once you get within Georgia. There's everything from a beer garden (and beer hall that has Octoberfest) to little bakeries and chocolate shops. 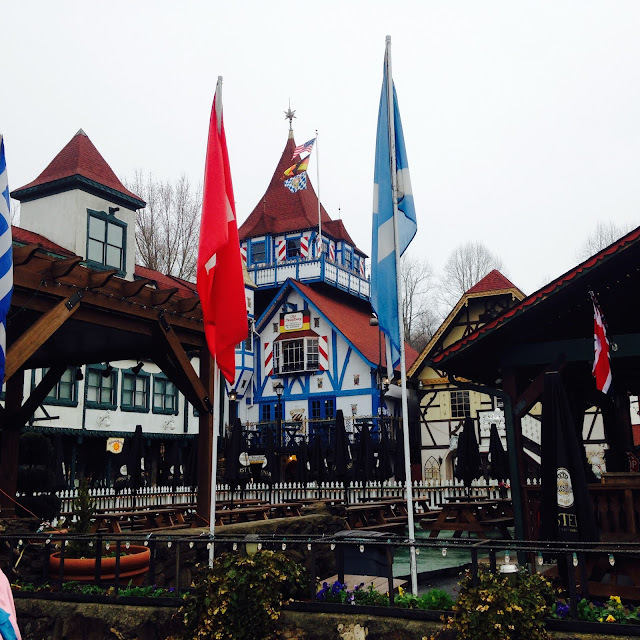 All of it is like jumping on a plane to Germany and landing in a little Bavarian mountain village. We stayed at a Hotwire hotel (Country Inn and Suites) for about $50 a night (off season, February) complete with indoor swimming pool and Jacuzzi. 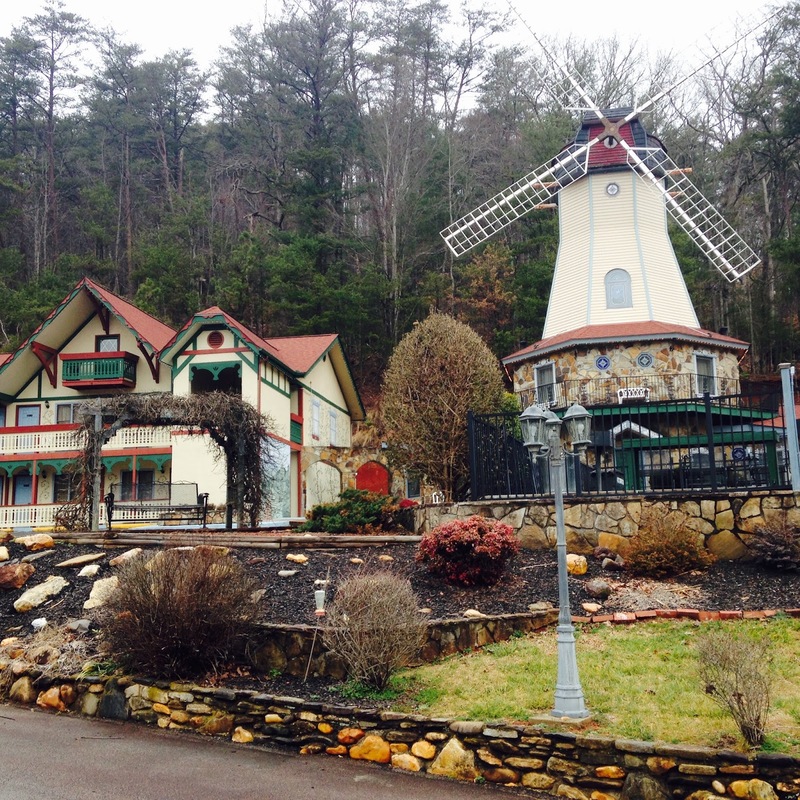 There are other options like staying in an old-windmill or the classic downtown Bavarian Inn that's directly on the Chattahoochee River. A nice stop off point on the way down from Greensboro is the world famous Beacon which serves "burgers a-plenty" since 1946 and has been featured on the Food Network. You order your burger "a-plenty" and it comes buried in a mountain of French fries and onion-rings. It's enough food to last three days. Once you get down to Helen, there's two places you have to go (do not plan on going on a diet). First is Hofer's. 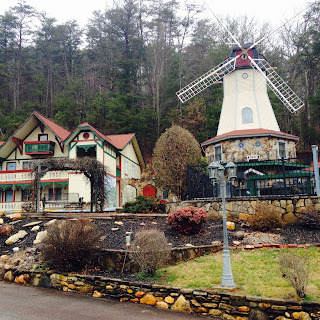 Their bakery is out of this world and you can grab some delicious German chocolate cake and coffee each morning while sitting out on the front garden (porch), just watching the world go by. They also have pretzels and landjagers (authentic beef sticks) in addition to other options. Your other must-go place is the Bodensee restaurant. Skip the faux German restaurants downtown and come here. Chef Aurel Prodan refined his craft in Bavaria Germany since 1981 before moving to Georgia... and to say his food is amazing is putting it lightly. The sauerkraut and schnitzel is literally to die for. The restaurant is super affordable considering it's probably the best German food I've ever had. Technically, it's almost worth driving to Helen from Greensboro just for this place alone. While in Helen take a short drive up to Anna Ruby Falls for one of the most picturesque waterfalls you've ever seen. Drop back into town for a pretzel with cheese or some fudge from Hansel and Gretel's. On the way out of town we stopped by Brasstown Bald where on a clear day you can literally see the entire mid-Atlantic South. Here's not what to expect. Don't go if you want go-carts and dinner theater like the McCoy's and Hatfield (who does that?). Don't go if you want an all inclusive resort with a bowling alley and buckets of expensive drinks. However, if you want a bit of shopping, a lot of great food, nature, zip lines, tubing and beautiful scenery, where you can get away from everything but still have an amazing weekend vacation, then you've got to go to Helen.